LOL.. that is actually a funny and interesting observation..OUR simplistic these days is TRIPLE A’s in front of a company name. I love Ogden. 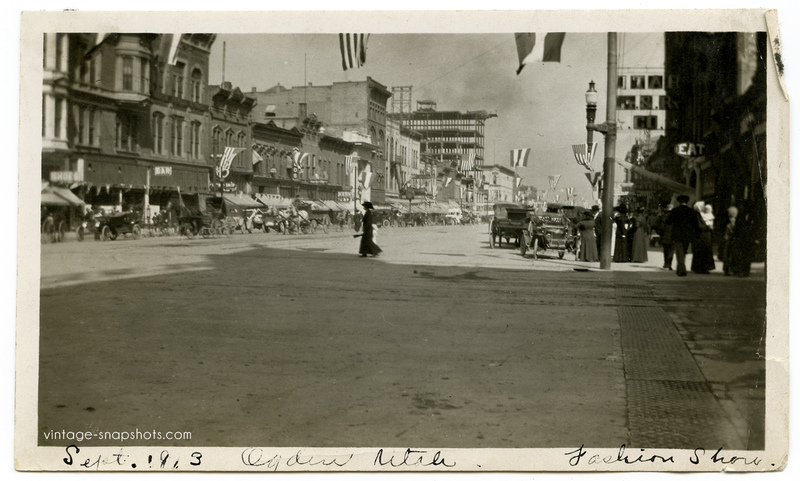 This is likely taken from the corner where the Ben Lomond Hotel is presently standing, looking north on Washington blvd. The Lady is walking west along 25th st. (as near as I can tell) I like the construction (of the Grant building on 24th?) and smoke in the background, It appears to be a breezy September afternoon with winds from the south – a storm approaching. Awesome picture! Glad you like it, and thanks for the additional info. i’ve never been there, but do love the photo, and your description makes it even better.